With the summer schedule in full swing, Chicago Fire, now semifinalists in the U.S. Open Cup, remain on the road for another tough contest against New England on Saturday evening. Recently, Matt Fondy joined the club, so I’d like to take this opportunity to welcome him. Can I call you Matt? That’s what your website calls you. Welcome to CF97! Congratulations on making your debut in Atlanta. Thank you for helping the team advance by drawing a penalty kick shortly after coming into the game. That was a nice little gift for the fans and the club. It hasn’t gone unnoticed. I know you were in the Western Conference recently with Chivas, you went to a NCAA Division III school, and appear to like KRAVE Jerky. That’s cool! I’d like to quickly explain what the heck you’ve gotten yourself into. First, We’re on the outside looking in. Frank Yallop has two regular season wins under his belt so far. He has freed himself up some roster room heading into this summer transfer window. I’m not sure what that means for you personally beyond the contract you recently signed, but the fan base has been waiting patiently for an influential Designated Player to be announced. We’re not holding our breath at this point. The owner has a growing reputation of being mildly interested in improving his squad with a “big name player.” You’ll see the words “Tradition” and “Honor” and “Passion” around Toyota Park. We’re not sure Andrew Hauptman (that owner I was telling you about) understands what those words mean b,ut hopefully you can bring those things with you when you step on the field. Your fellow forwards Mike Magee (red card on Wednesday, nearing yellow card accumulation suspension, injury concerns earlier this season) and Quincy Amarikwa (dismissed last time we played New England) don’t always make it through 90 minutes. You should probably stay close to Harry Shipp. He’s had some success this year and is our best player so far. Really, he has! The midfielders will try their very hardest to keep the ball, but the team rarely wins the possession battle over the course of 90 minutes. In the back, we’ve shuffled things around quite a bit. We basically don’t shut anyone out, but Sean Johnson will make some great saves along the way, so that’s nice. Anyway, welcome again, and if you have any questions about the city or whatever, just let me know. Jumping two teams is possible with three points earned on Saturday. Houston and Philadelphia linger above us, but have looked beatable their last few matches. 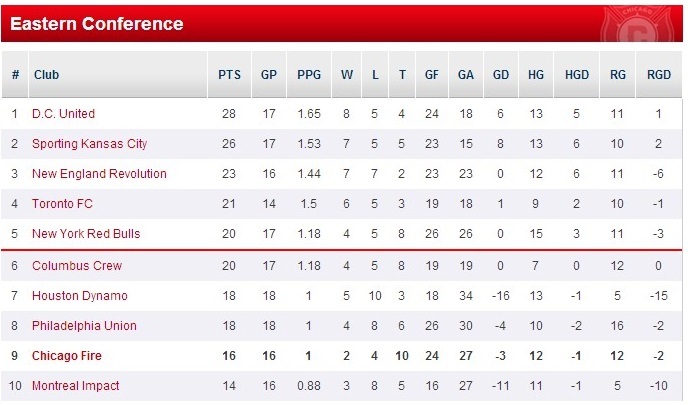 A loss on Saturday for the Fire would mean the Revs jump 10 points above them. Shipp, Alex, and Ward around Larentowicz this weekend? As long as the Men In Red manage to earn at least a point and score goals, Yallop doesn’t appear interested in altering the starting lineup if both Magee and Amarikwa are healthy. Alex has looked a bit more motivated and influential lately and he needs to get both Shipp and Ward on the field somehow. Larentowicz gets inserted into his spot with the armband firmly wrapped around his bicep. In the back, Segares has to be ready by now to play left back. Bakary Soumare may well return following the midweek game that tired out some others. 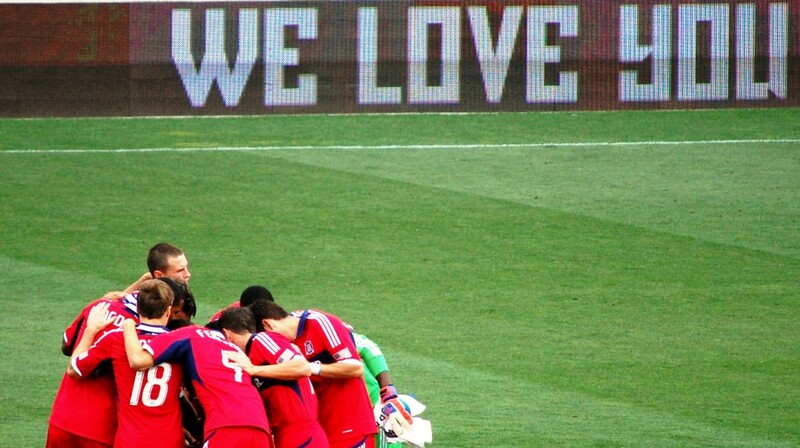 Chicago Fire (2), New England Revolution (2) Why not just predict a draw? Ten of the first 16 matches have ended that way. Alex slots one home and Mike Magee tries to keep the skeptics away with a tally of his own. Diego Fagundez figures in both Revs goals. Chicago’s one point-per-game pace remains intact. Saturday’s affair will pit two struggling teams against each other. The Revolution have lost their last four league games and were ousted from the US Open Cup by the Philadelphia Union. The defense has been porous and hasn’t posted a shutout since May 11th. Meanwhile, the offense has stagnated with only two goals scored in their last four league games. With six games scheduled between now and the All-Star break, the Revs will looking for three points at home against the Fire. 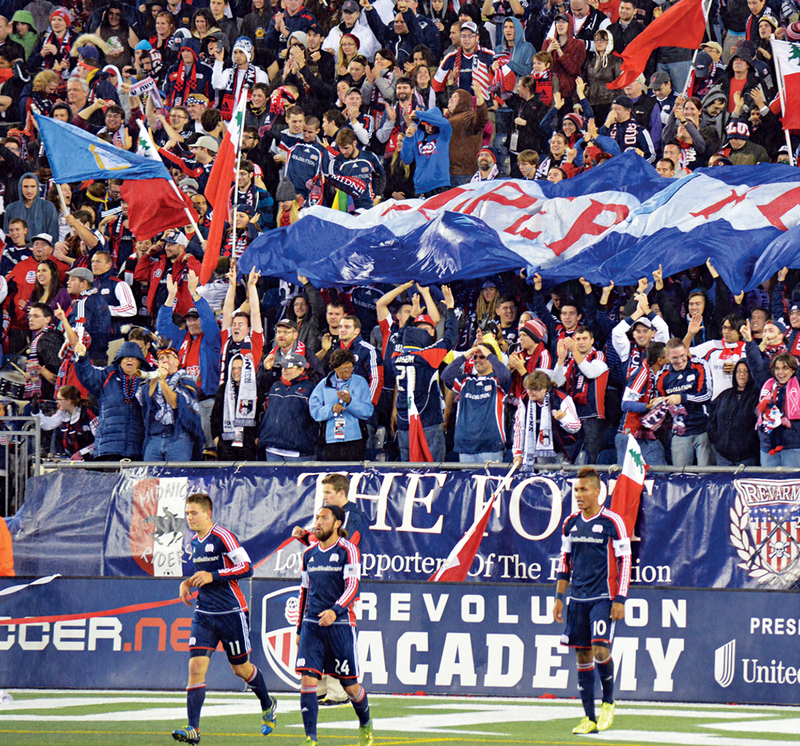 The first goal will be crucial on Saturday night, as the Revs are 6-0-0 when scoring first and 1-7-1 when they don’t. When the Revolution get the inaugural goal, space tends to open up, which is ideal for creative players like Diego Fagundez and Lee Nguyen. When the opponent grabs the first tally, they tend to be defensive, which causes headaches for the Revolution and their 4-1-4-1 formation. A lot of the offensive onus will fall upon the shoulders of rookie Patrick Mullins. The former Terp was sensational during the month of May when he scored in four straight games. Since then, Mullins has cooled. He hasn’t tallied in his last four league games. The left-footed striker is powerful enough to hold off defenders, creative enough to find space, and skilled enough to score goals. Defensively, Revolution head coach Jay Heaps needs to find the correct back line. So far this year, Heaps has used six defenders and seven groupings. The most successful back line went 4-0-0 and featured Chris Tierney, AJ Soares, Andrew Farrell and Darrius Barnes. Interestingly, this unit doesn’t include Jose Goncalves, who is the captain and reigning Defender of the Year. The Revs boasted one of the stingiest back lines in MLS last year, and will need to return to an effective defensive style of play if they are to make the playoffs again this season.